The text and timeline for this site has been prepared by Sankirtana Das. He has been a practitioner and presenter of the Hare Krishna tradition, philosophy and literatures since 1971. He first explored the roots of the Hare Krishna Movement in America for a college course project in 1969. In college, he majored in theater and film making (CUNY '70). He met Srila Prabhupada in 1971 in Detroit and became his initiated student in 1973. Two years later, he received brahminical initiation. He and his family moved to New Vrindavan in 1976. There he became artistic director for the theater program. He wrote, directed, and performed in many dramas that became popular throughout the movement, including his solo performance of the aging poet/monk Krsnadas Kaviraj and the story of Bilvamangala Thakur who blinded himself so that he would not be allured by worldly temptations. In 1987, Sankirtana and his long time friend and associate, Locamangala Das (Leonard Jones), co-produced The Mahabharata, India's classic epic. Their project had been in the making for several years, and was unique in that it involved only two actors, serving both as storytellers and playing multiple roles. As is traditional in Sanskrit drama, the performance included on stage musical accompaniment, and also involved a Bharatnatyam dancer. In the fall of '87 they opened The Mahabharata Off Broadway in New York City. Their five week run coincided with the run of international director, Peter Brooks' own nine hour production of the same epic, which included a cast of over thirty. 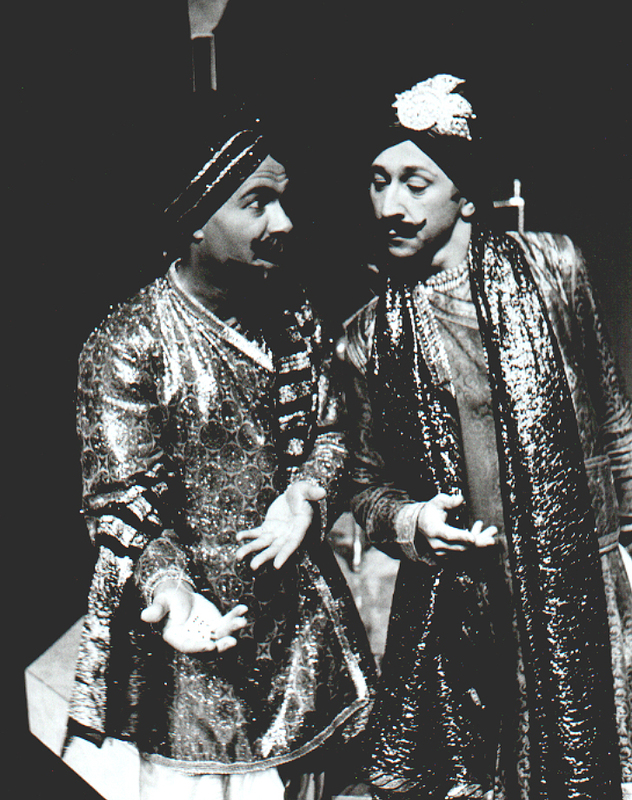 In his theater work, Sankirtana explored the dynamics of the storyteller/actor. By 1989 he began to focus most of his attention on storytelling. He developed Sacred Voices, a solo piece that showcased stories from a variety of sacred traditions. He became a member of the National Storytelling Network and is their liaison for West Virginia. Currently, Sankirtana travels extensively as a multicultural and sacred storyteller, offering programs at special events, conferences, and in schools from K through college. He tells stories from around the world and also offers workshops on the uses and dynamics of storytelling. He also continues to make presentations in many colleges on the growth of the Krishna movement, the Vedic philosophy and culture of Sanatana Dharma (The Eternal Path), and the epic stories of the Mahabharata, Ramayana, and Puranas. Notably, he has given presentations at NYU's Center For Near Eastern Studies, the Religious Communications Congress 2000, the 1993 Parliament of World Religions Centennial, and at other interfaith gatherings and conferences. He is also the author of The Fish Who Wouldn't Stop Growing And Other Wisdom Stories From Ancient India.